Diehard meat-eaters tend to cringe at the very idea of “fake meat.” Most have had unforgettably awful encounters with poorly prepared tofu or with processed meat substitute products found in grocery stores. For many vegans and vegetarians though, meat substitutes are both a way of life and a crucial source of protein. “Seitan” is another name for wheat gluten, a meatless source of protein that is commonly used in vegetarian and vegan dishes. Traditionally, it is prepared by isolating the protein portion of wheat through a process that includes preparing dough and rinsing it repeatedly under running water, washing off wheat starch. The end result is a chewy, meat-like substance that can be baked, broiled, and fried just like regular meat. The process of rinsing away wheat starch is extremely time consuming, and many alternative seitan preparation methods have been derived to speed up the cooking process. It is common for modern chefs to use high gluten flours or vital wheat gluten whenever preparing seitan to improve efficiency. Seitan can be prepared in a variety of manners, allowing it to be used as a substitute for many different types of meat. Typical uses include mock duck, fried “chicken,” and shredded “steak,” but its applications are limited only by the chef’s imagination. Seitan also provides a texture that more closely resembles meat than many other meat alternatives. It is highly absorbent and can work well in preparations that include heavy sauces. The dough is prepared by combining all of the ingredients in a bowl and kneading the mixture until it becomes highly elastic. It may then be boiled in a seasoned broth for several minutes to give it additional flavoring. Once boiled, it may be served as is or breaded and fried, resulting in a texture that is similar to fried chicken. The dough may also be baked, creating a final product that more closely resembled roasted beef. The possibilities for seitan preparation are virtually limitless, and the above description does not even scratch the surface of what may be accomplished by a creative chef. Seitan is packed with protein, containing approximately 20 – 25 g/100 g serving. This protein differs from meat based proteins in that it lacks many essential amino acids. As a result, seitan is considered to be an incomplete protein source, while meat is classified as a complete protein. Vegans and vegetarians can still get the amino acids they need by obtaining protein from a variety of sources in addition to seitan. Home cooked seitan is naturally low in sodium, although sodium content can be increased using certain preparation methods. Seitan is naturally low in fat, and while preparation methods such as frying can increase fat content through absorption of oils, it still maintains a low level of fat in comparison to regular meat. The fat that seitan does contain is monounsaturated fat, in contrast to the high saturated fat content found in meat. Due to its low caloric content in relation to its serving size, seitan is considered to have a low energy density, making it an ideal food for individuals who are trying to lose weight. 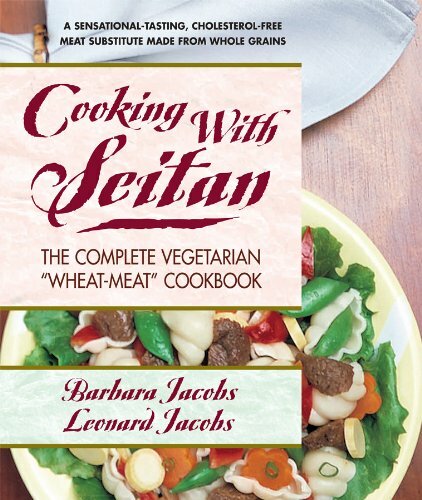 The largest health concern associated with seitan is linked to the fact that it is 100% gluten. Currently, the U.S. is seeing an increase in reported cases of Celiac Disease, a disorder that causes the body to reject gluten rather than digesting it normally. Given the high gluten content of seitan, it is better left avoided for individuals who have demonstrated symptoms of gluten intolerance or who are concerned that they may have a gluten allergy.